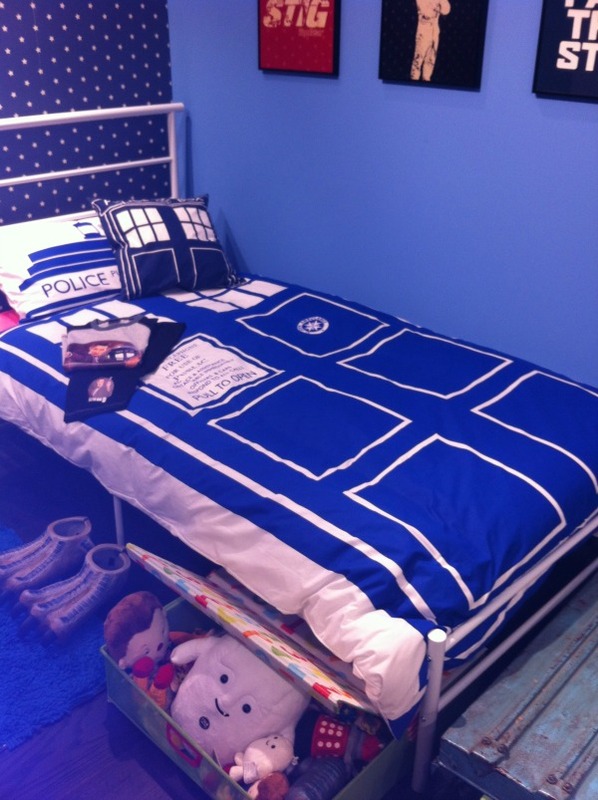 I’ve always liked the way Doctor Who has never been particularly over-merchandised, and the merchandise you can get is usually pretty good quality. 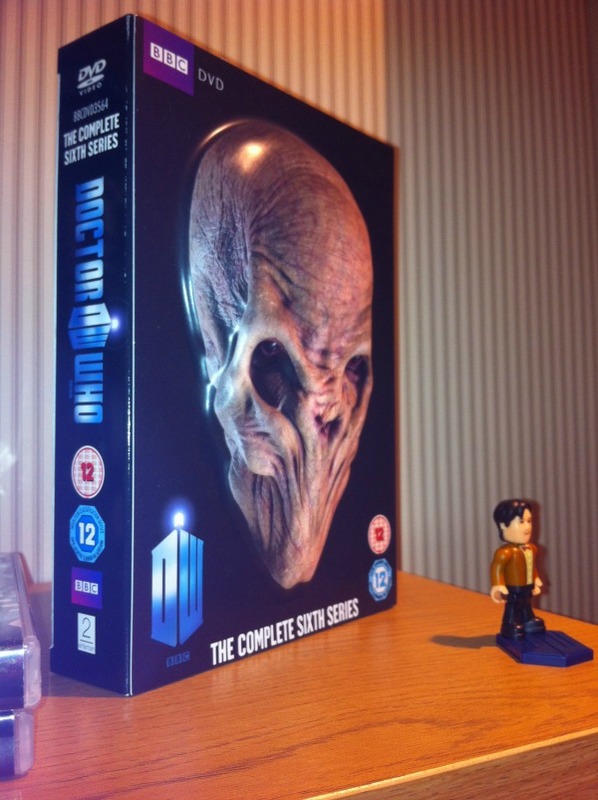 Now, in celebration of the show’s 50th anniversary, the BBC have REALLY ramped up the conveyor belt of stuff. Fill yer boots, Who fans, your time has come. 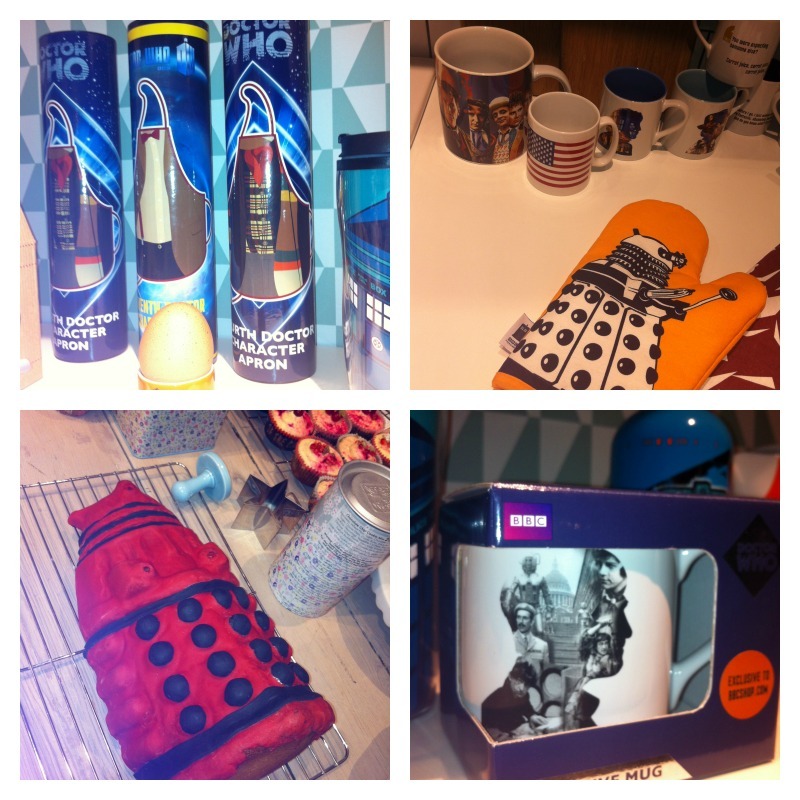 Yestersday I went to a BBC showcase of their new merchandise ranges for Christmas. What a lot of cool stuff! 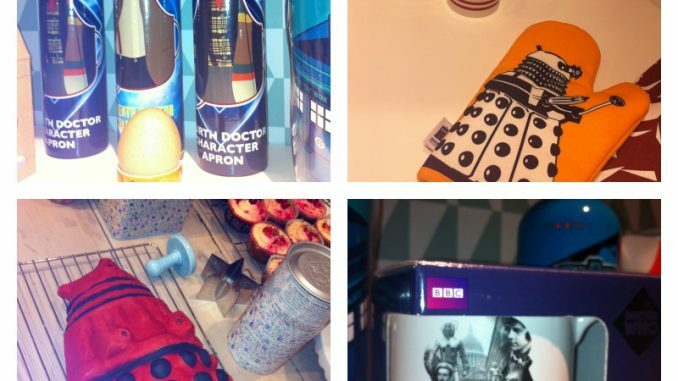 Let’s just say that you will need a Christmas stocking with the capacity of a TARDIS to fit this lot in. 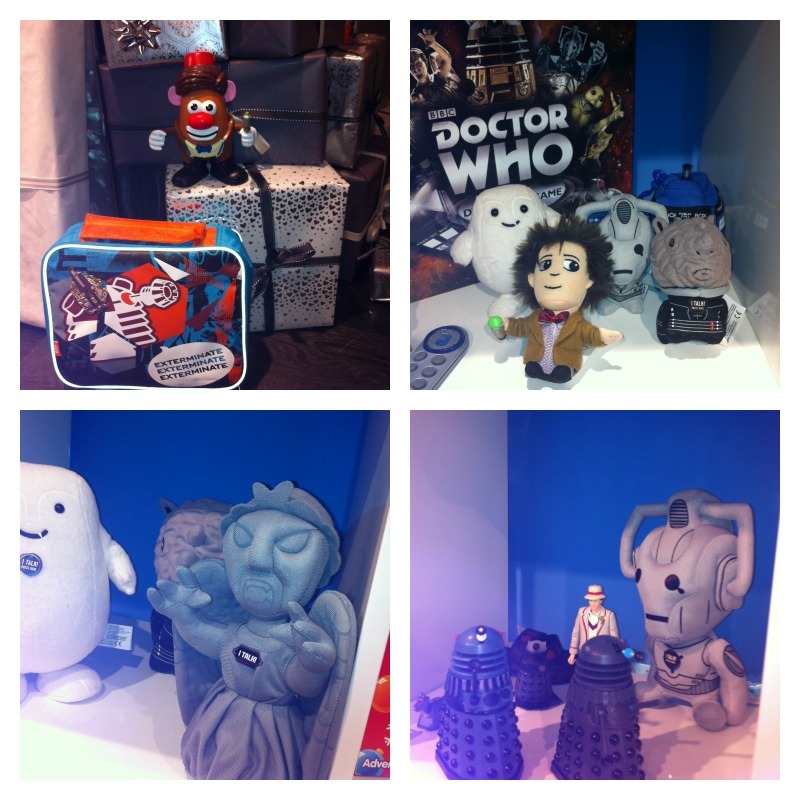 So here’s a special preview of all the Doctor Who treats on their way. Some of this stuff is not yet in the shops but will be in stock over the next few months, so keep checking back at the BBC shop. 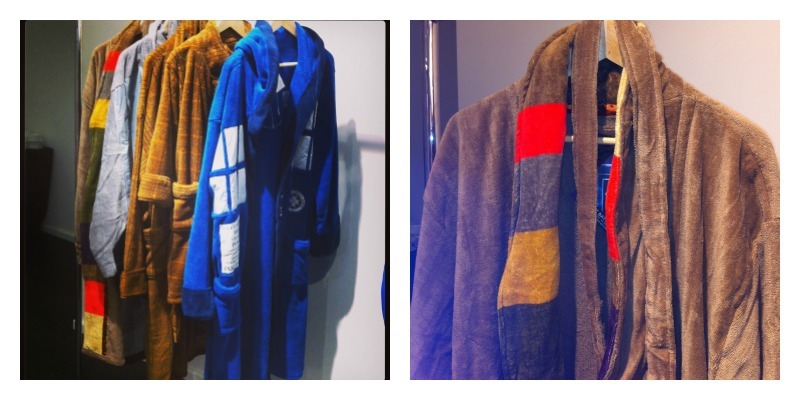 These towelling robes will retail at £30-£50, which is a bargain really because if you had one you would never want to wear anything else ever. 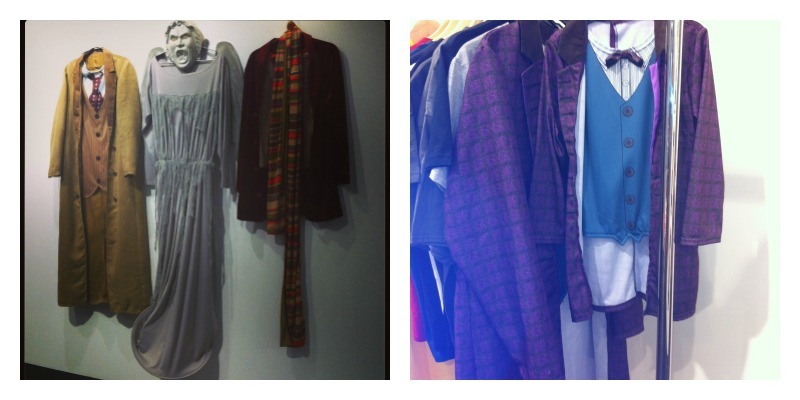 Note the adult and child sized Matt Smith costumes with the sewn in bow tie. The family that Whos together possibly needs to get out a bit more. Next, time for a board game? 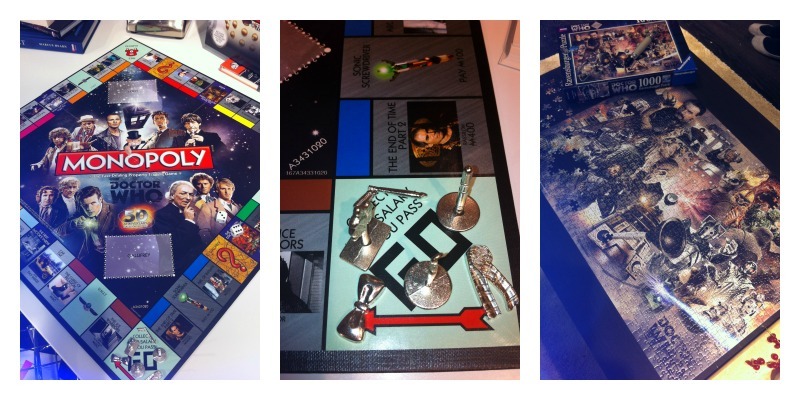 Note the tiny Monopoly playing pieces with reference to Doctor Who through the ages. Obviously everybody will want to play as Tom Baker’s scarf. The fifth Doctor’s celery may be less popular. At this point in the event the nice woman from the BBC pointedly said “We do have other stuff that’s not Doctor Who you know”. 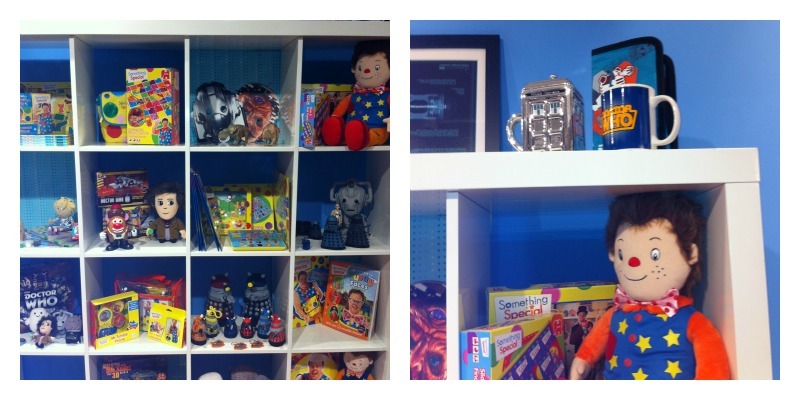 So OK, here are some Mr Tumble toys. And friends.